Participatory Land Use or Resource Maps (PLUM/PRM) attempt to capture and translate a community’s collective knowledge and interpretation of space into a form that can be understood and accepted by outside agents. 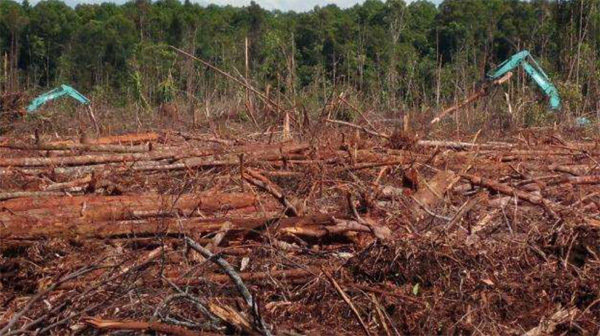 Those outsiders might be NGOs hoping to benefit the community or their environment, government authorities, or companies interested in developing the land for logging, mining, or plantations. Forest dependent communities tend to have an intricate knowledge of their land, and in Borneo this is usually with reference to the rivers and streams, and the trails that connect them. While it might be true that an individual could travel for months through their forest without getting lost, if you asked them to demonstrate their location on a satellite map, it would probably not be immediately obvious. You might imagine trying to identify your house on a map where all of the roads and place names have been removed. Participatory maps are created by facilitating community-wide discussions and pen-and-paper mapping sessions, followed by the physical mapping of important areas and boundaries by training village members in the use of GPS equipment. By geo-referencing their collective knowledge, the community can easily turn their internal maps into digital and physical representations that can be compared accurately with things like proposed concession areas, research sites, or other activities. In this sense, the maps become powerful tools for defending land tenure, negotiating with companies, lobbying government authorities, and working with NGOs to properly plan projects and research activities. We believe that participatory mapping is one off the most important tools for capacity building and community-led conservation in Borneo, although it should ideally be coupled with training and support to effectively use these new tools.